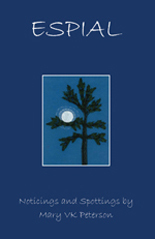 Honest, heartfelt and high-spirited, this book offers a collection of poems, questions and other thoughts triggered by spending a year noticing, in nature, the presence of God. Contains 120 noticings and spottings. Roughly 200 pages.